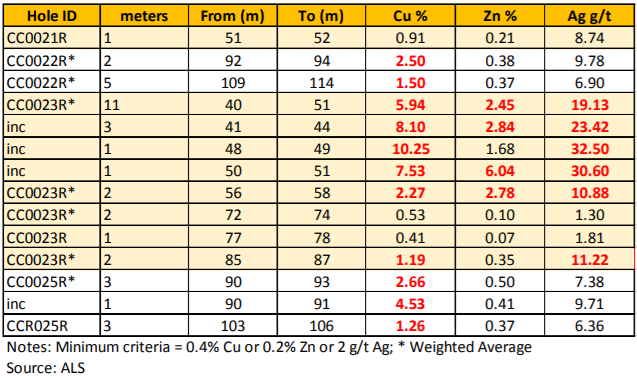 Castillo Copper Ltd’s (ASX:CCZ) has released preliminary findings from downhole electromagnetic (DHEM) survey at the company’s Cangai Copper Mine in New South Wales. The reports confirmed the presence of several sizeable conductors that are aligned with known and unknown mineralisation, highlighting the potential scalability of the project. As a backdrop, Castillo is a base metal explorer and the historic Cangai Copper Mine near Grafton in north-east NSW is its flagship project. The mine comprises a volcanogenic massive sulphide ore deposit, with one of Australia’s highest grade Inferred Resources for copper with 3.2 million tonnes grading 3.35% copper. 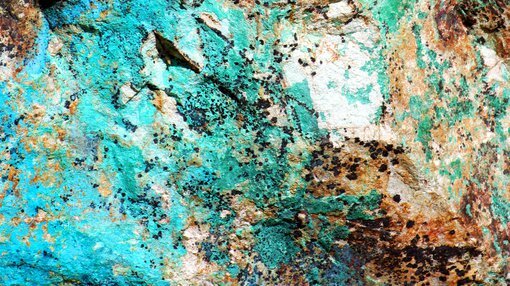 A notable positive is the presence of supergene ore with up to 35% copper and 10% zinc which is ideal feedstock for direct shipping ore.
Incrementally, the project holds five historic stock piles of high-grade ore located near the Cangai Copper Mine. The next phase of exploration will focus on undertaking incremental DHEM surveys along the line of lode and the commencement of the inaugural diamond drilling program. Of course it is early stages and investors should seek professional financial advice if considering this stock for their portfolio. Since mining ceased at Cangai Copper Mine, around the end of World War I, there has been minimal exploration in the region. The current drilling program, which delivered excellent assay results for drill-holes CC0021-25R1 as seen below has clearly been the most extensive work undertaken at the mine in the last century. Consequently, applying today’s modern exploration techniques, especially DHEM survey, there is a significant opportunity to quickly broaden the understanding of the underlying high-grade ore body apparent at Cangai. Demonstrating the mine’s potential scale, several off-hole conductors that are not associated with known massive sulphide mineralisation have been identified. To gain a greater understanding of these anomalies the DHEM survey will test several drill-holes from the Phase I campaign. Another key target the DHEM survey team will investigate is an off-hole conductor plate associated with Anomaly B which was identified when the fixed loop electromagnetic program was carried out earlier in the year. The key facts about Anomaly B are that it is potentially highly mineralised and sizeable, estimated at 250 metres in strike along the line of the lode’s western end. Further DHEM survey results are imminent, and management said that the diamond and reverse circulation (RC) drilling teams are all on site to progress their parts in the campaign.